ARCHILL ON WHY HE CHOSE TO WORK WITH REGINALD CANGE AGAIN AFTER FASIL DEBACLE + POSSIBILITIES OF FRERO COMING BACK TO ZENGLEN! 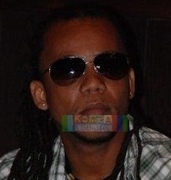 *ARCHILL ON WHY HE CHOSE TO WORK WITH REGINALD CANGE AGAIN AFTER FASIL DEBACLE! *FRERO BACK TO ZENGLEN POSSIBILITIES FROM ARCHILL ST. HILAIRE!